The only direct primary care solution designed to address the needs of the employer health plan. The Accresa platform is the first of its kind to capture and adapt all the advantages of a direct primary care (DPC) model to fit within the framework of an employer’s health benefits offering. Through its robust payments technology, easy-to-use administrative platform, and one-of-a-kind Affiliation ManagerTM, Accresa connects employers and their employees with a growing national network of primary care physicians, clinics, medical groups, and health systems all focused on our shared vision for delivering a better healthcare experience. Accresa has made it possible for employers and their employees to realize the full benefit of DPC and other quality-focused healthcare payment models. Here’s what makes it work. DPC (direct primary care) is an alternative payment model that seeks to improve access to quality care and foster stronger relationships between physicians and patients. DPC practices charge periodic, flat fees for services and do not bill third parties on a fee-for-service basis. Click here to learn more about why we’re so passionate about DPC. Each employers benefits strategy is unique, and employers shouldn’t have to accept a one-size-fits-all approach when it comes to designing a DPC program. 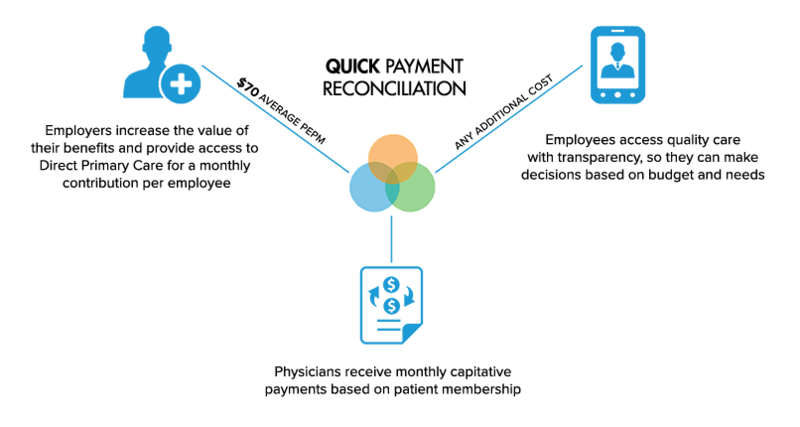 With Accresa, employers and benefits consultants can easily customize, implement, and manage a DPC network that can be tailored and scaled according to the needs of the employee population. Once the employer’s network is in place, Accresa provides a simple interface through which the employer can manage the DPC program and payments – including enrollment, eligibility changes, and all necessary compliance requirements. Healthcare is personal, and we believe employees should have greater choice when it comes to when, how, and – most important – from whom they receive care. 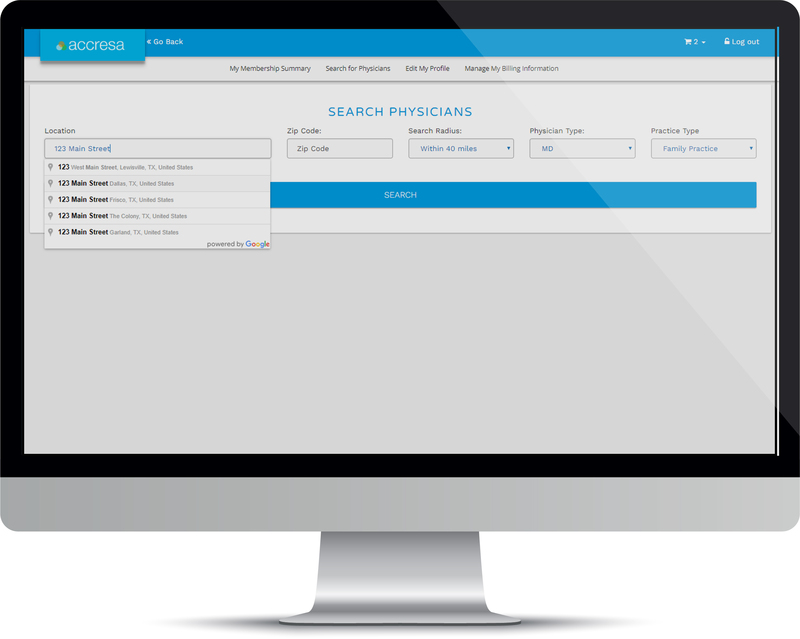 That’s why Accresa was designed to allow employees to search for, compare, and select from the full network of physicians and clinics available to them with complete transparency into pricing and services provided. Better yet, employees can select and manage physician selection for both themselves and each of their family members – helping ensure that everyone benefits from dedicated care and stronger doctor-patient relationships. Many of the barriers to meaningful improvement in the healthcare system are the direct result of payments inefficiency. We realized that it would be impossible to unlock the full potential of DPC for physicians and employers without a seamless, automated payments mechanism in place. Accresa has eliminated the payments hassle for employers and physicians with a platform that consolidates any number of transactions from multiple patients, across multiple employers, into a single, reconciled monthly payment to each participating physician, clinic, or network. Employers can contract with different networks and providers without having to juggle and account for numerous payments. Physicians can accommodate different employers and individual employees across different clinic locations without the headache and uncertainty of dozens of payments coming in the door from different sources, according to different schedules. 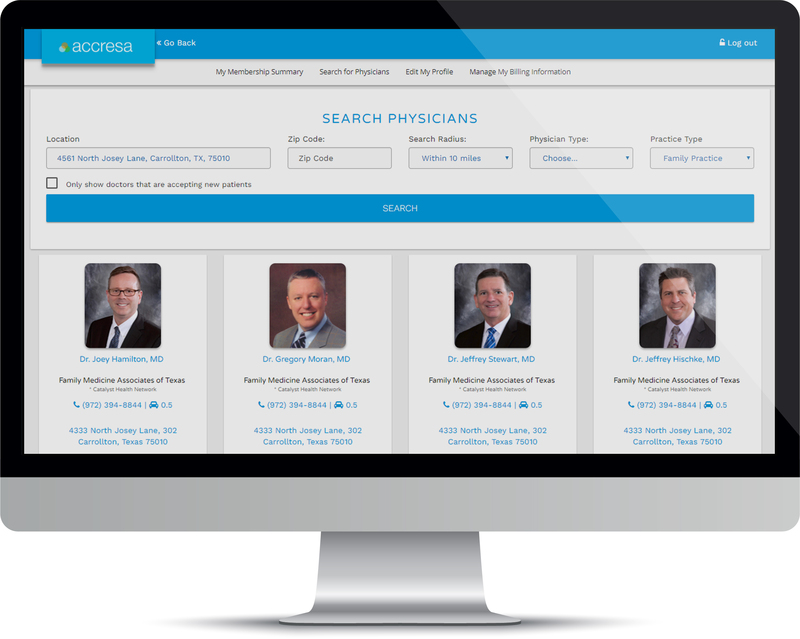 Let us show you how we’re connecting employees, physicians, and employers like never before.